The 2014 Winter Olympics in Sochi, Russia was very exciting. We had a few MIDD alums competing (skiers) as both athletes, and coaches, which was exciting. I love the Olympics. I mean, what kid hasn't dreamed of being in the Olympics? We all know Lizzy is completely dedicated to working out, and being healthy and fit, and she just amped that up this winter in order to train with Olympians and other hopeful Olympians at Lake Placid. 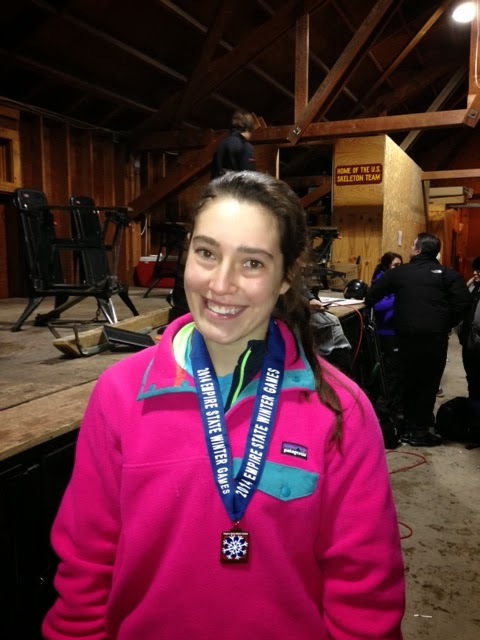 She even took a bronze at her first race, and she competed at USA Nationals. Way to go, Lizzy!